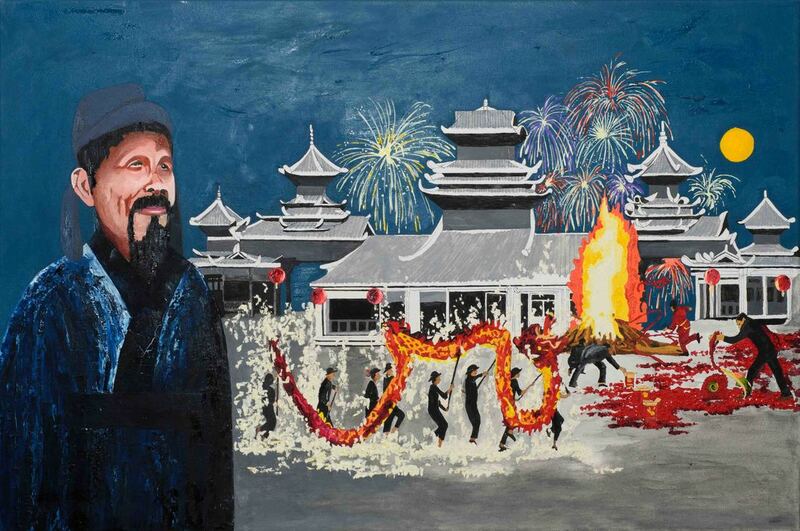 This painting represents one of the Lantern Festival legends. It depicts a local wise man encouraging villagers to light red lanterns, set up bonfires, and ignite fireworks to give the appearance to the Jade Emperor that the village is on fire. Thank you for your interest in buying the painting "Bonfire." As soon as I receive this request, I will contact you to confirm order details and total amount of purchase.